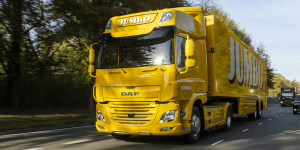 DAF Trucks has delivered its first fully electric truck, the CF Electric, to Jumbo supermarket chain. The electric semi-trailer was developed with VDL and premiered at this year’s IAA Commercial Vehicles. Jumbo will use the CF Electric to supply its supermarkets in the south of the Netherlands. 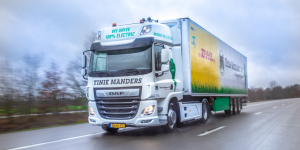 Dutch DAF is showing two electric trucks in Hanover. 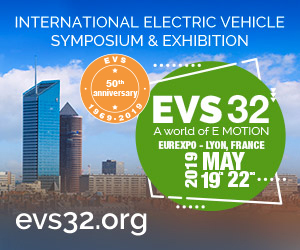 Also joining the LF Electric and CF Electric is the CF Hybrid and the company now released data on the performance of their low emission portfolio of utility vehicles. 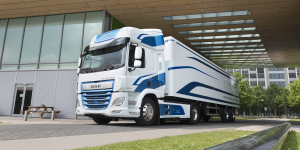 Dutch DAF has turned to VDL as they want to electrify their truck business. VDL delivers the EV system including a 170 kWh battery and the electric semi is to haul up to 40 tons through cities. 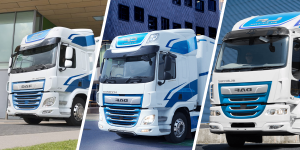 A small number of e-trucks will take up service at selected clients this year.